Should Childen be Separated from Their Parents? Imagine this scene. A child's parents have committed a crime. They are taken away to be incarcerated. 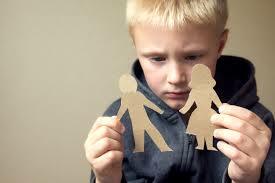 The child is left in the care of a family member - or in some cases a foster family. The very thought of it is heartbreaking. Yet it happens every day. I'm not talking about foreigners who enter our country illegally. I'm talking about American citizens who commit crimes and are sent to jail or prison to serve their sentences. Do the Liberals say, "Keep the kids with their parents?" Of course not. Who would want children in a jail or prison just so they could be with their parents? But the Liberals do insist that the children of illegal aliens be kept with their parents. This is because - even though they have broken the law - they are released as soon as they are caught. They are given a summons - much like a traffic ticket - and told to report to their court hearing in a few months. Of course, very few show up. They violate the law when they ignore the court order, but that's no big deal. They broke the law when they entered our nation. It is a misdemeanor punishable by a fine and six months imprisonment for the first crime. A second offense carries a two year prison sentence. Further re-entries can become felonies, with sentences up to twenty years with aggravating conditions. The Florida Council of Catholic Bishops recently testified before the Florida House Judiciary Committee that, "Unlawful presence (in the United States) is not a crime." It's interesting how you can make a true statement and lie at the same time. While it's true that there is no specific U.S. statute that makes it illegal to be "present" in the U.S. as an illegal, 8 U.S. Code § 1325 - Improper entry by alien makes it very clear that "entry" is a crime. The representative of the Bishops, Ingrid M. Delgado, told a further falsehood when she said that - rather than being a crime - illegal entry is a "civil violation." Any crime that carries jail or prison time, as illegal or improper entry does, is a crime - not a civil matter. The US Attorney General has just announced that he is going to do something that was not done during the reign of Obama - he is going to enforce the law. Obama ordered our border enforcement agents to "catch and release" illegals. Now we're going to do what the law has always required. We're going to prosecute illegal entrants. And, yes, they will be separated from their children - just as citizens of the U.S. are separated from their children when they commit crimes. It is very sad in either circumstance. But the illegals can avoid separation simply by applying for legal entry into the U.S. If they sneak across our border, they not only put their children in danger - they deliberately risk the stability of their family by willfully breaking our laws. I take the time to explain this because I am so tired of hearing Liberals say, "These are law-abiding citizens who just want a better life." If their first act in this country is to commit a crime by entering it, they are not "law-abiding." And what about all the other crimes they commit? Buying fake green cards, driver's licenses, and passports are all crimes. Pretending to be a citizen when applying for welfare benefits is also a crime. Keith Ellison, one of the top officials of the Democrat Party, wear a T-Shirt that says (in Spanish), "I don't believe in borders." Well, if you don't believe in borders, Mr. Ellison, you don't believe in the United States. And that goes for anyone else that believes the way he does.